The Russian space agency Roskosmos and its European counterpart are expected to take another step towards a joint exploration of Mars. The European Space Agency (ESA) is planning to increase Russia’s participation in its ExoMars project. According to Russian daily Kommersant, the ESA is looking to Russia to fill the void in the joint Mars operation left by NASA’s decision to decrease its involvement. NASA is anticipating budget cuts that may force it to withdraw completely from the ambitious project. The U.S. is expected to decrease expenditures on space programs by 20 percent – from $ 1.5 billion in 2012 to $1.2 billion next year. The ExoMars project, which has a projected cost of $1.3 billion, will then have to shift part of its financial burden to a new partner. Roskosmos and the ESA are expected to discuss Russia’s expanded participation in the project during negotiations on Feb. 15. During the last ExoMars summit in Paris in December, program coordinator Rolf de Groot told the Wall Street Journal that the ESA was aware of Roskosmos’s interest in expanding its participation and also that NASA could potentially withdraw. The European Space Commission and NASA signed a joint agreement to explore Mars in July 2009. The two agencies aimed to launch a Mars rover by 2018 through the ExoMars project. At the same time, ExoMars signed an agreement with Roskosmos on the purchase of energy facilities, but didn’t include Russia in the project as an equal partner. Nevertheless, Roskosmos and the ESA have a record of successful joint projects. 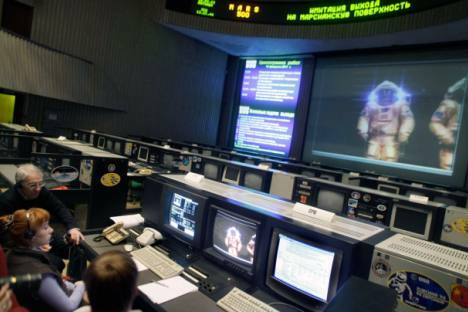 European astronauts participated in the Mars-500 experiment, which was hosted in Russia and intended to prepare cosmonauts for the long flight to the red planet. Launched on June 3, 2010, the Mars-500 mission involved an international crew of six astronauts – three Russians, one Chinese man, and two representatives from the European Space Agency, an Italian and a Frenchman. They were put in small modules simulating a spaceship headed for Mars. The mission lasted 520 days. The major goal of the experiment was to study human responses to extreme stress when there’s nowhere to escape or obtain help.